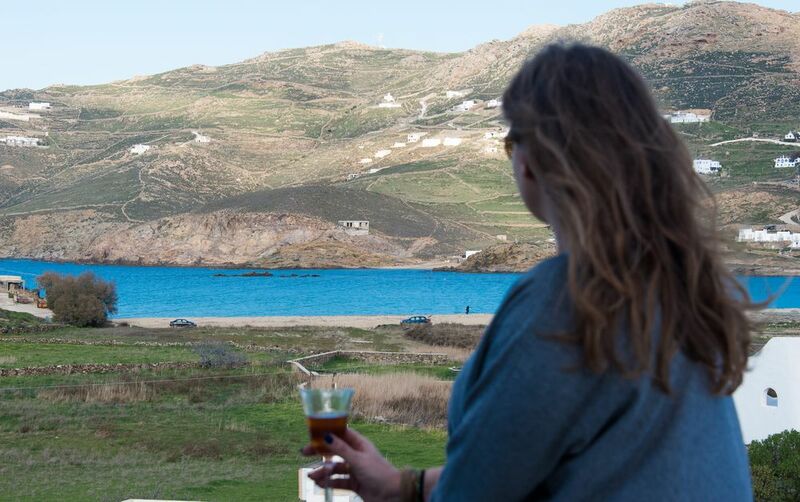 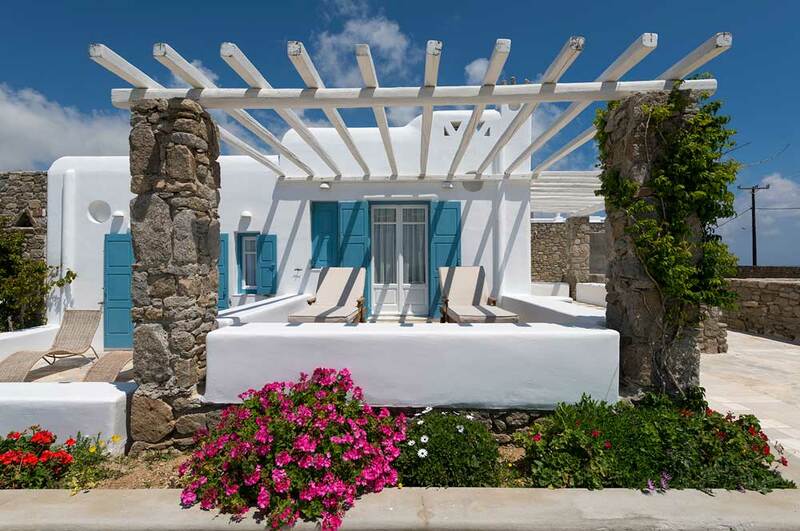 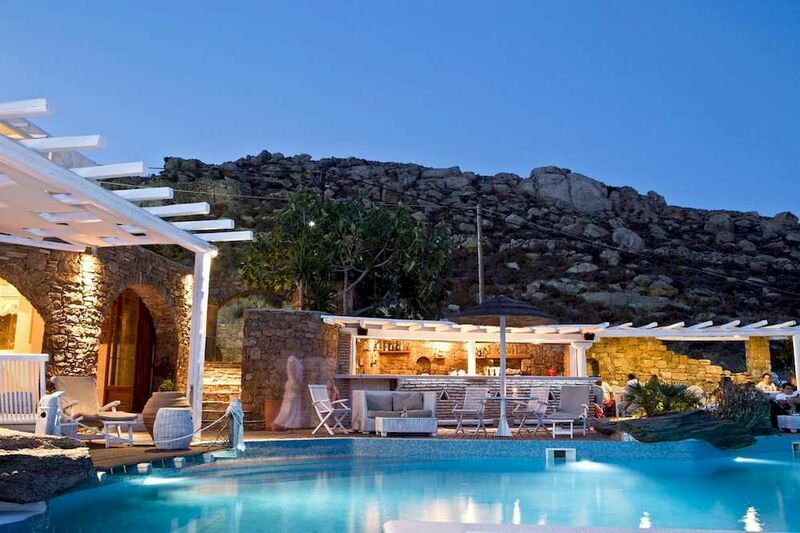 Mykonos Late Deals and Special Offers. 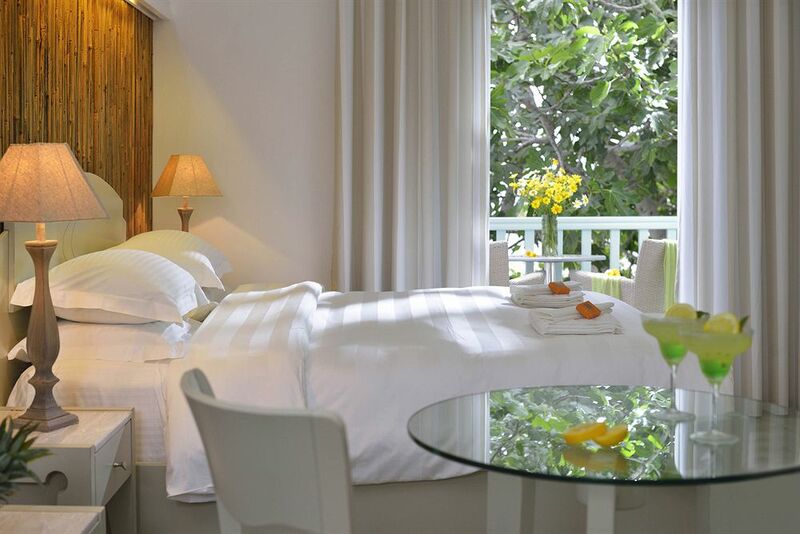 We have put together a collection of Quality accommodations offering some very good rates and special offers. 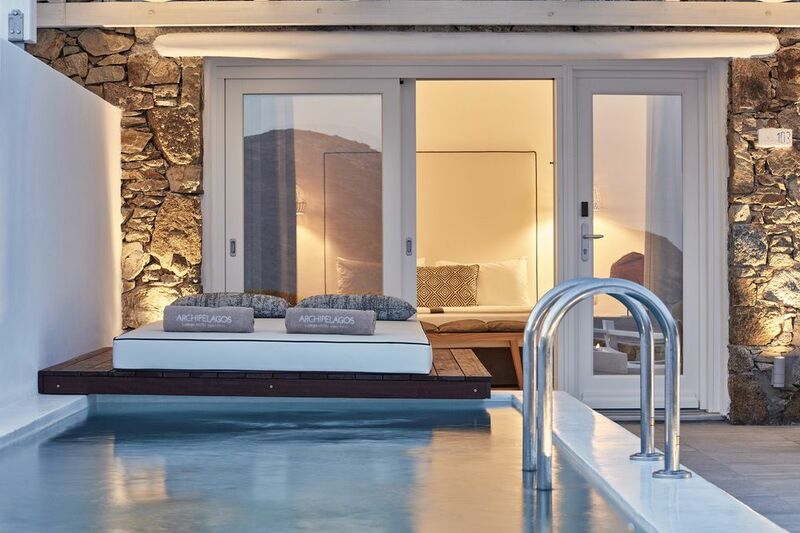 All hotels can be booked online. 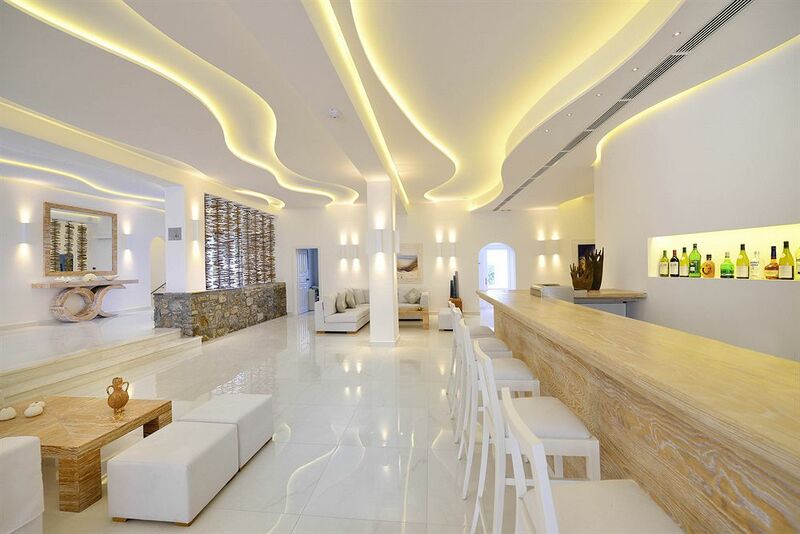 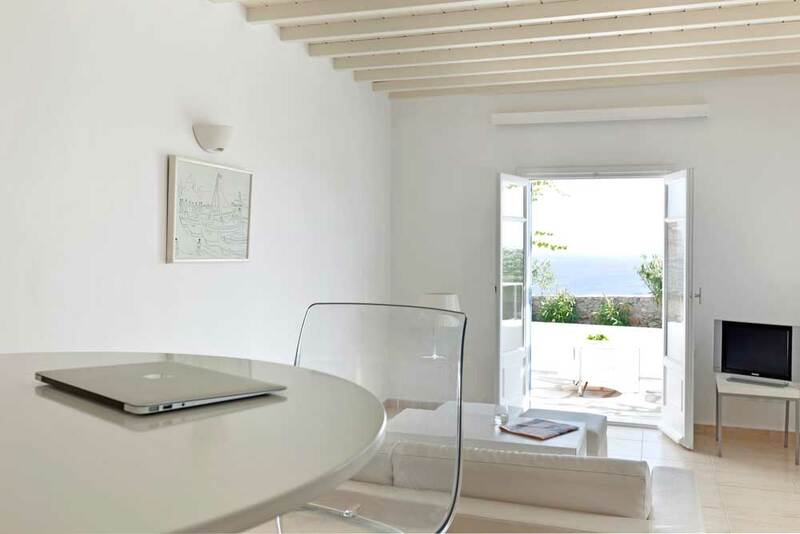 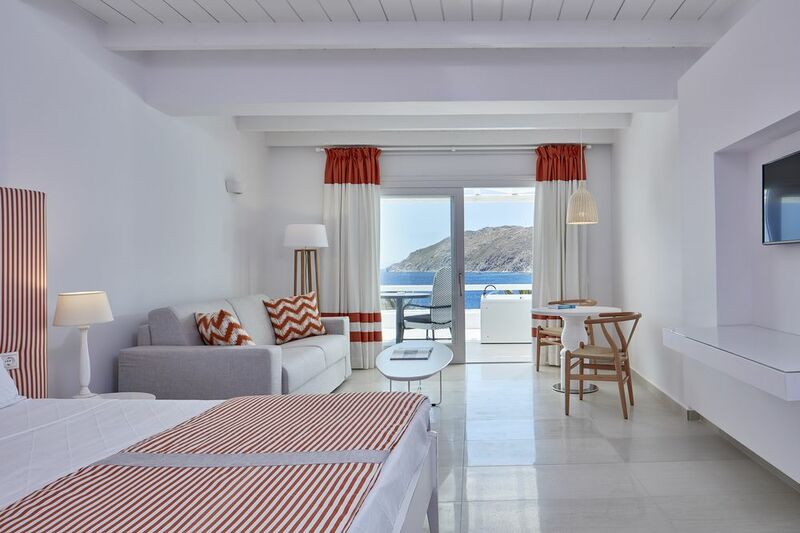 New stylish hotel overlooking the sea close to the beach of Agios Stefanos. 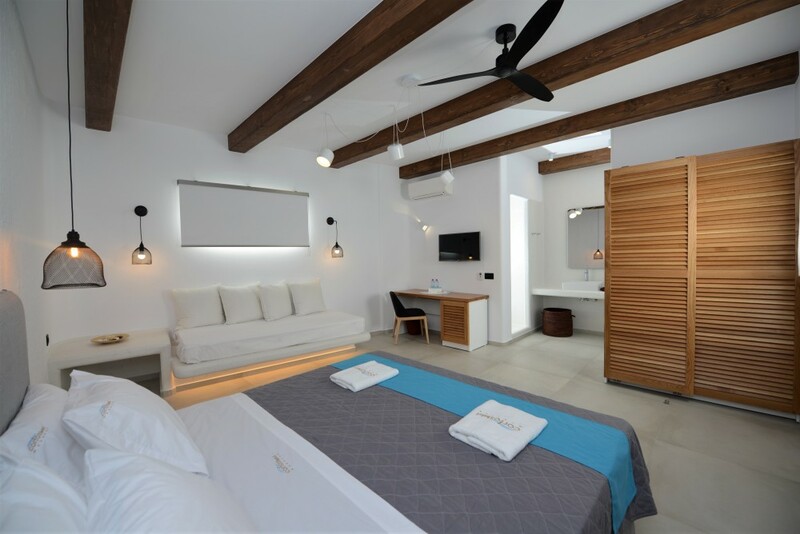 Features include a lovely pool plus a further shallow rooftop pool, various room options including suites and most with Private Jacuzzi. 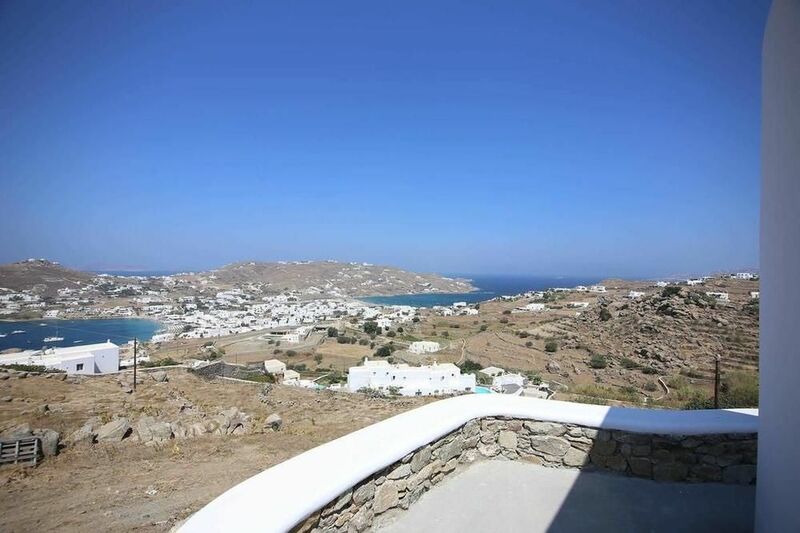 Close to the new port and Mykonos town. 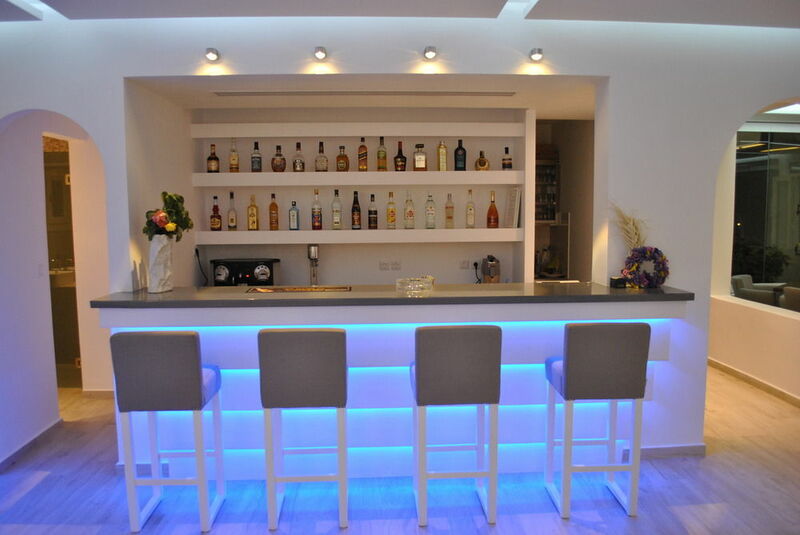 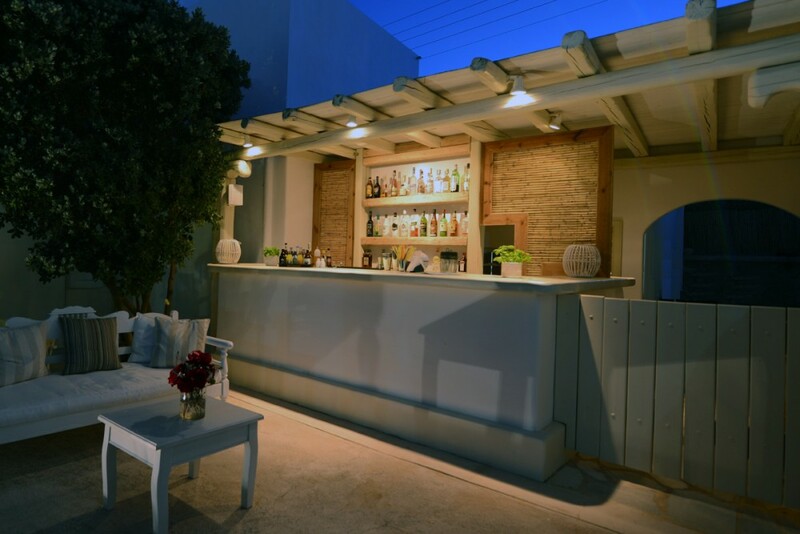 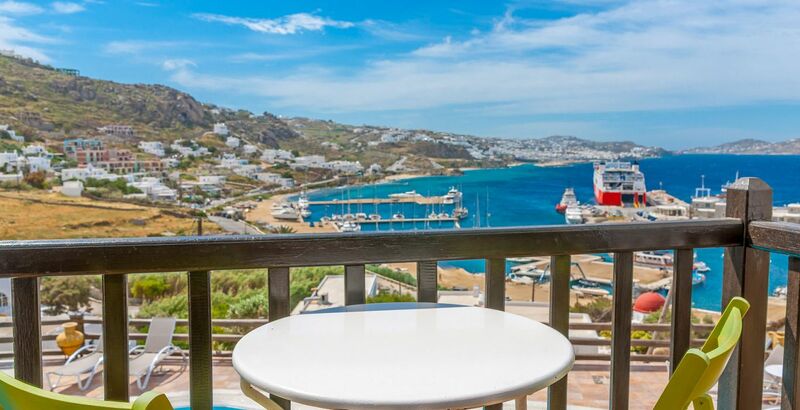 Ideal location near Mykonos Town and offering excellent facilities including an attractive pool terrace with a bar serving drinks/snacks. 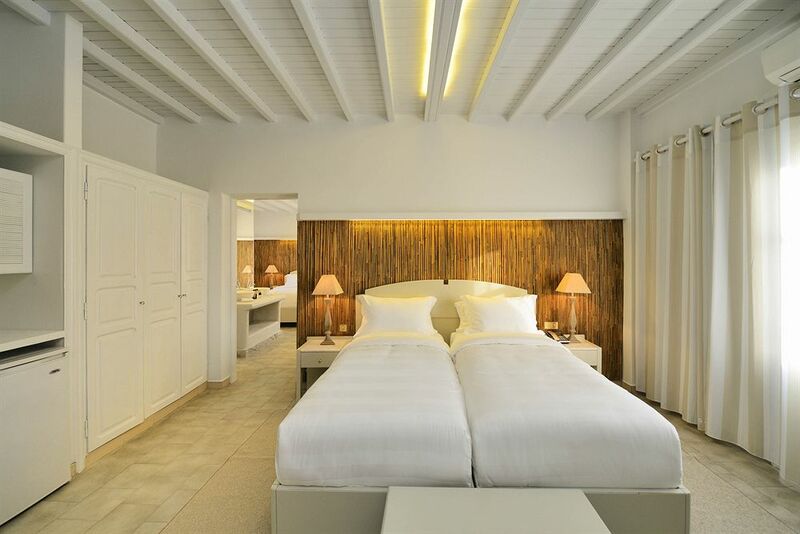 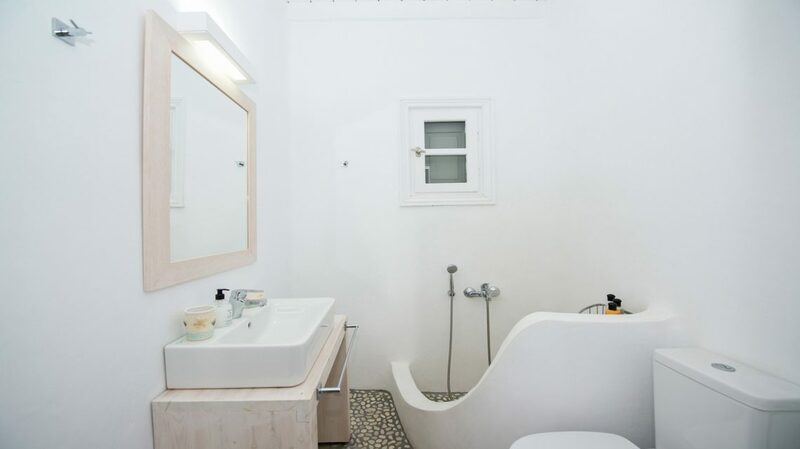 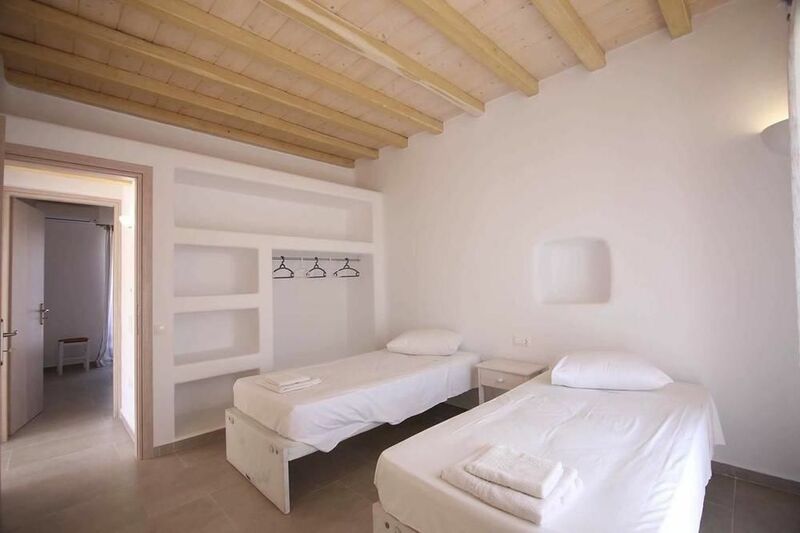 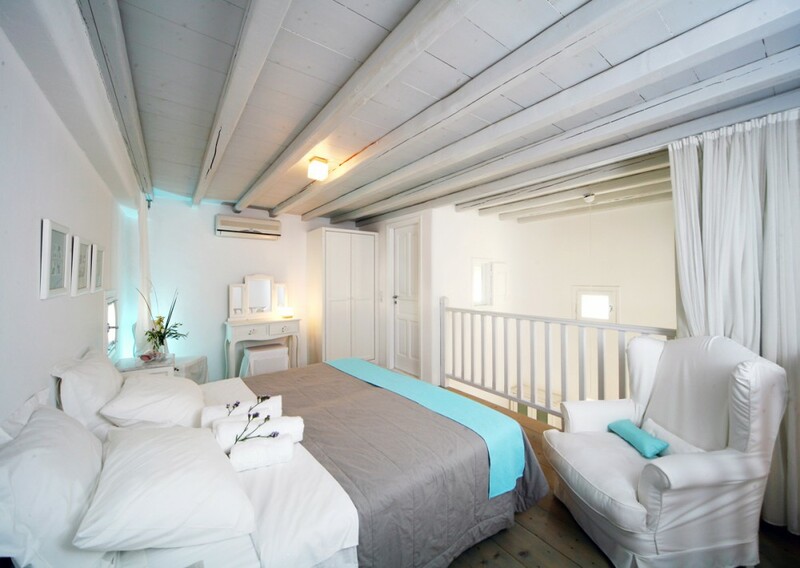 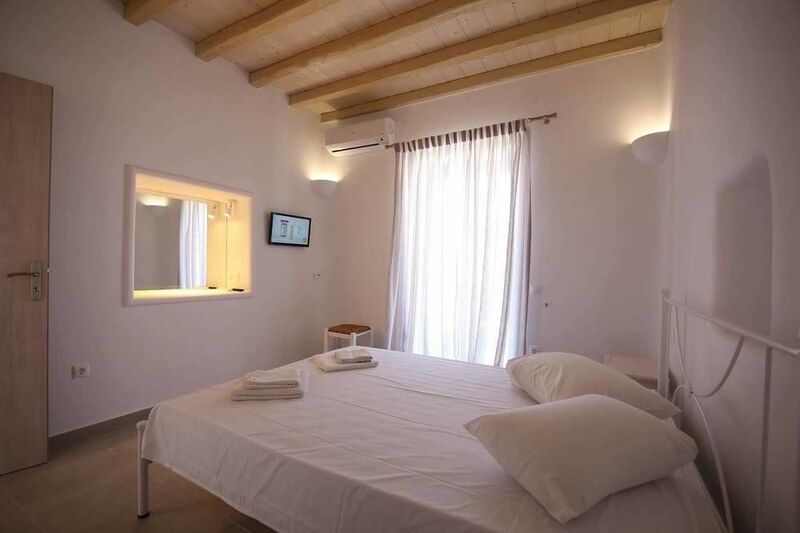 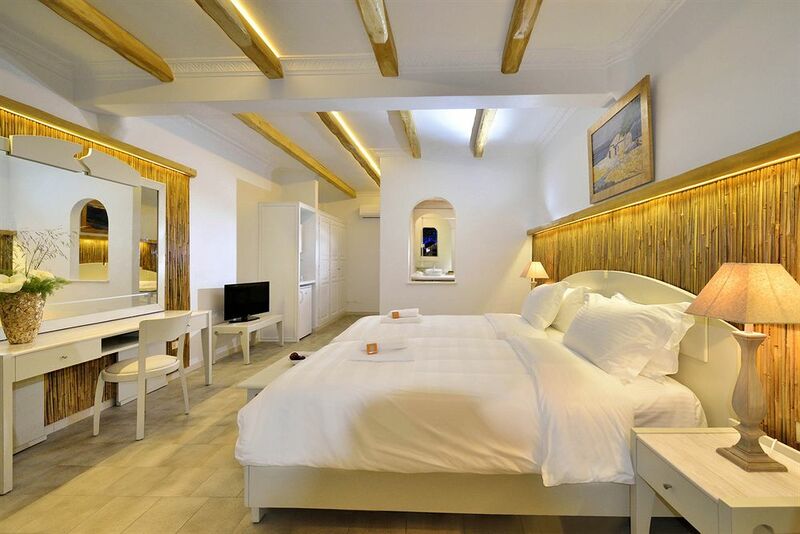 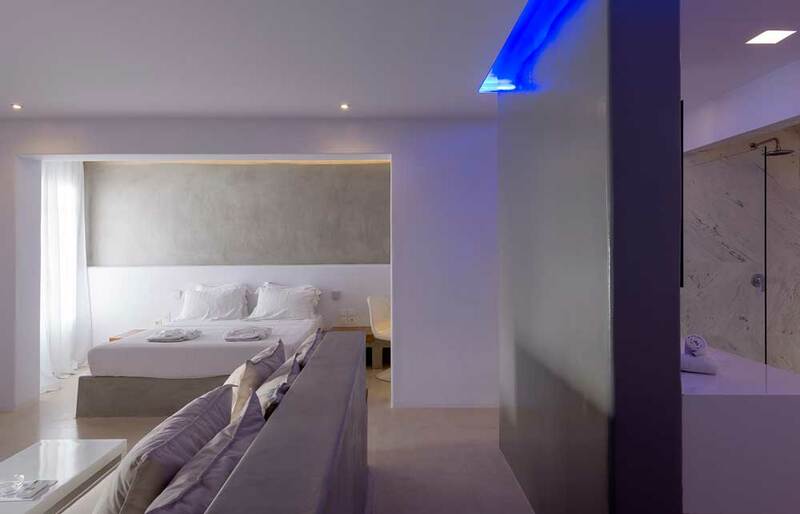 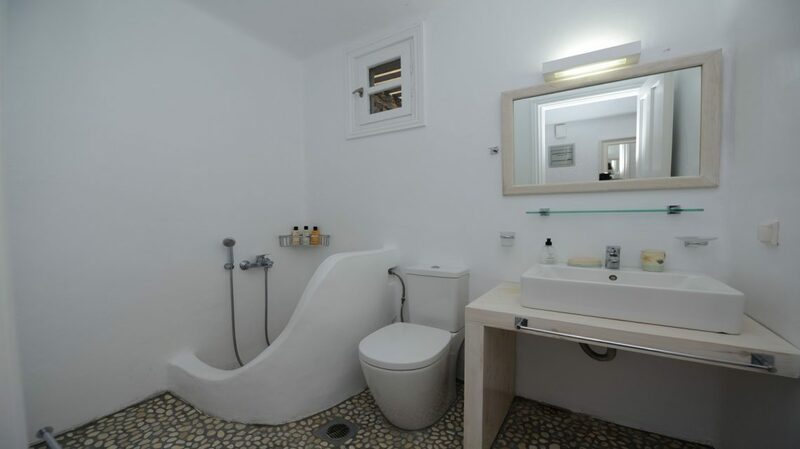 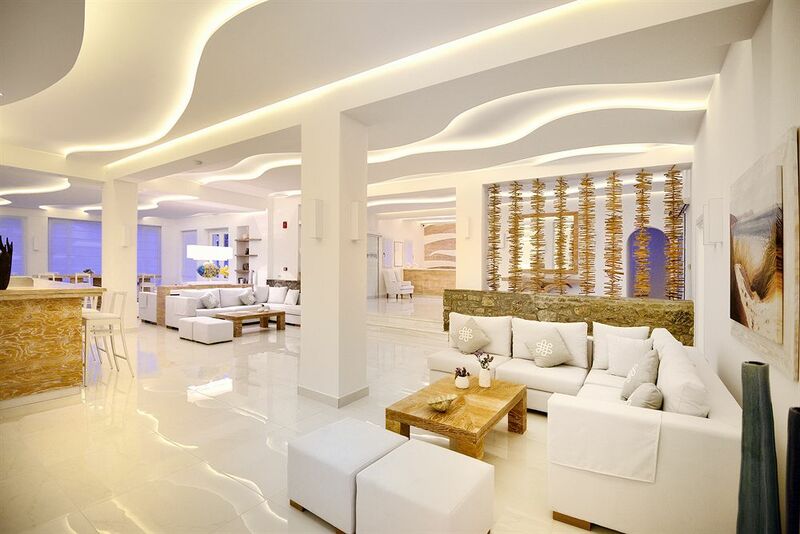 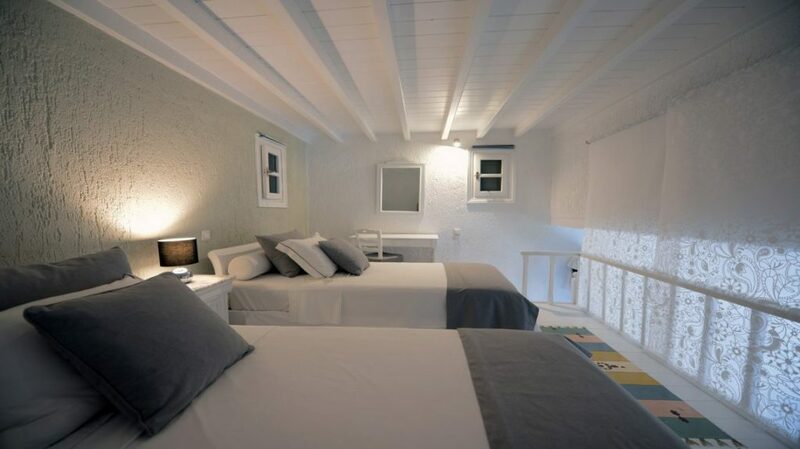 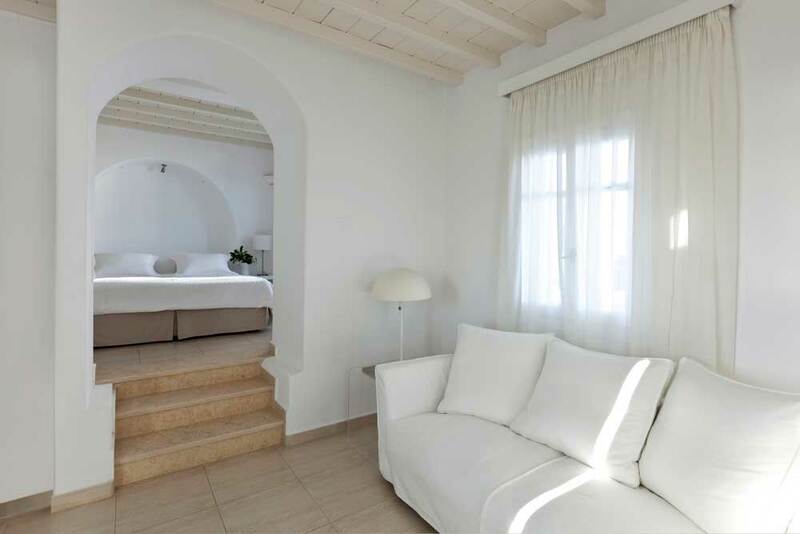 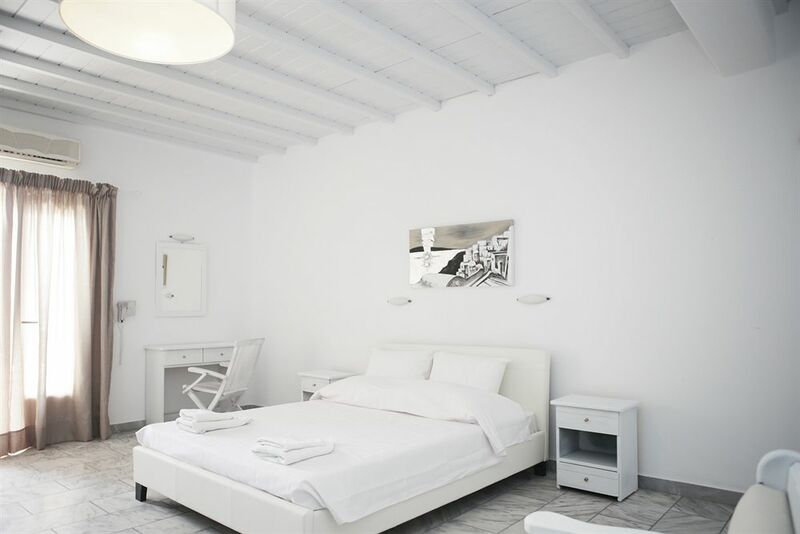 The hotel features 36 well-furnished rooms and is furnished in Cycladic style. 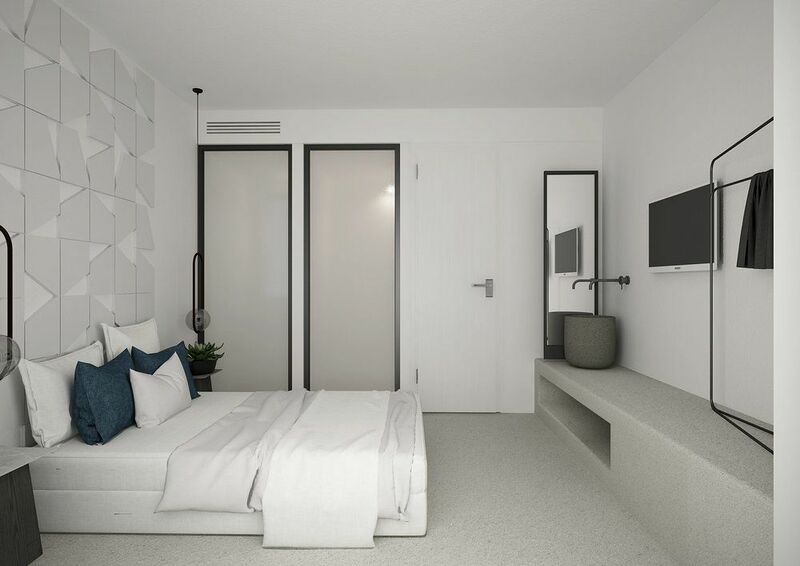 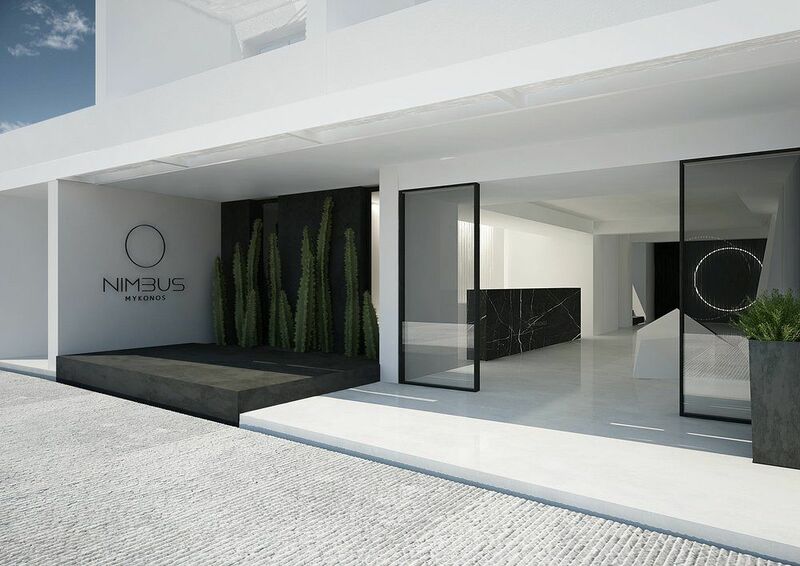 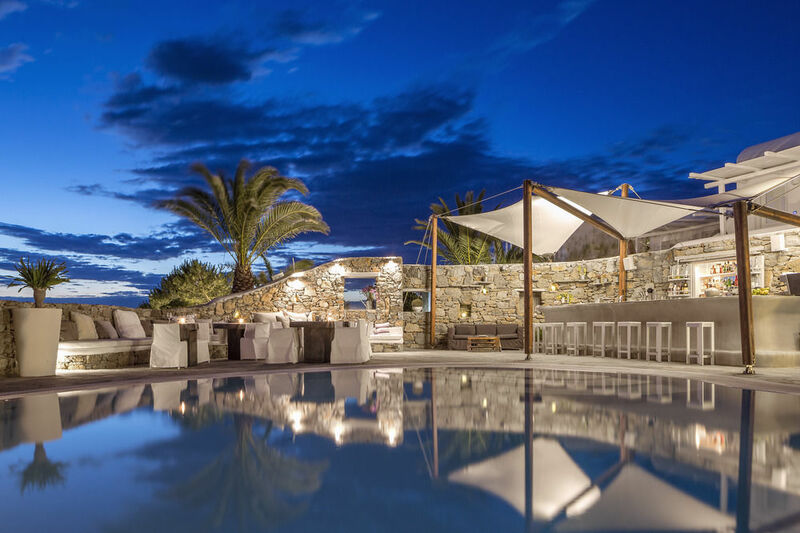 Modern 4 star hotel located on the hillside above Platis Gialos Beach, offering good facilities including pool, jacuzzi, pool bar and comfortable rooms/suites. 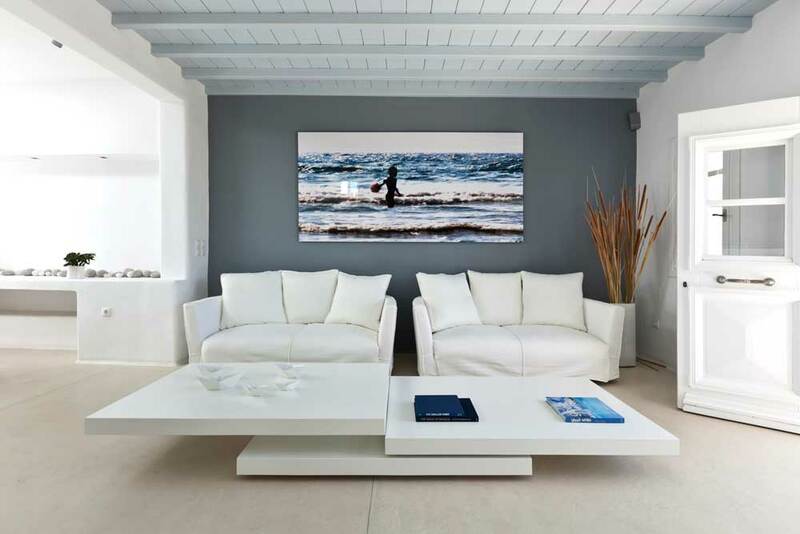 Excellent for both beach and town. 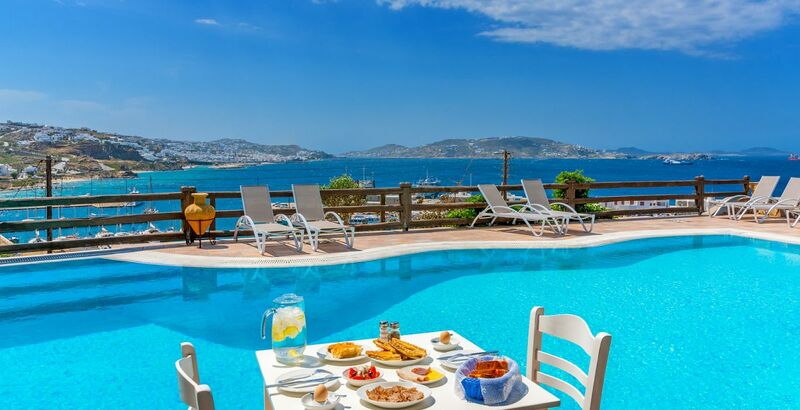 Newly refurbished beach hotel in Platis Gialos, offering excellent facilities including a lovely pool area with sun loungers. 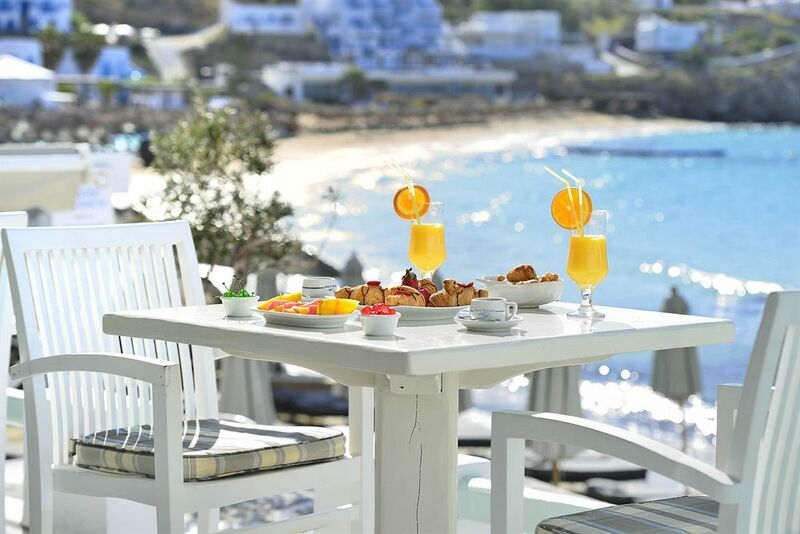 Well furnished rooms some with sea views, enjoy your breakfast overlooking the bay. 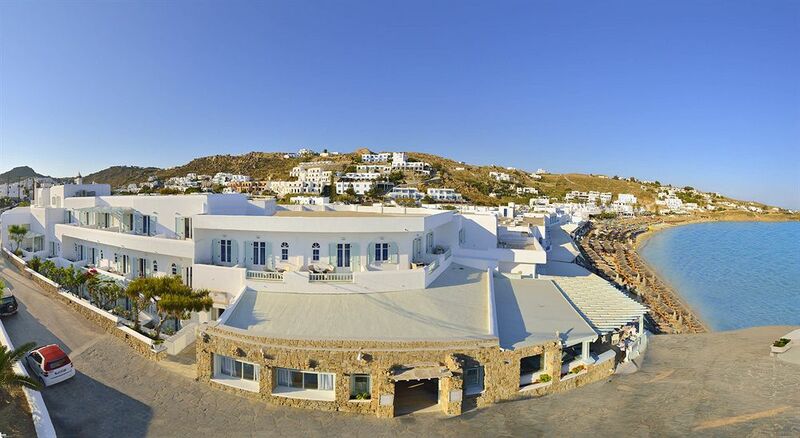 The bus for Mykonos town stops outside the hotel. 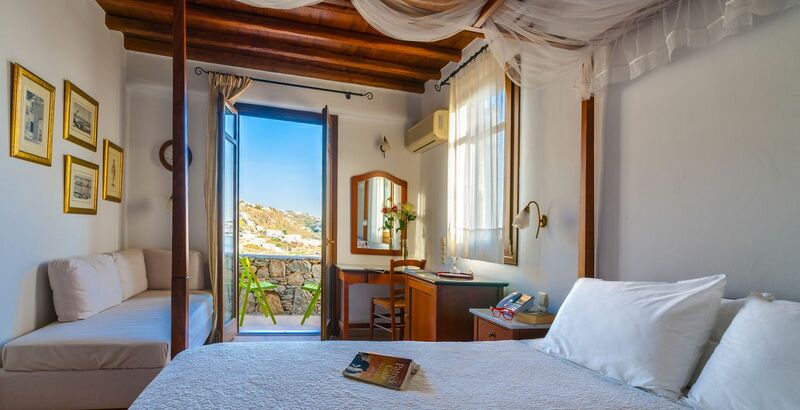 This hotel offers the perfect beach location set just above the beach of Kalo Livadi. 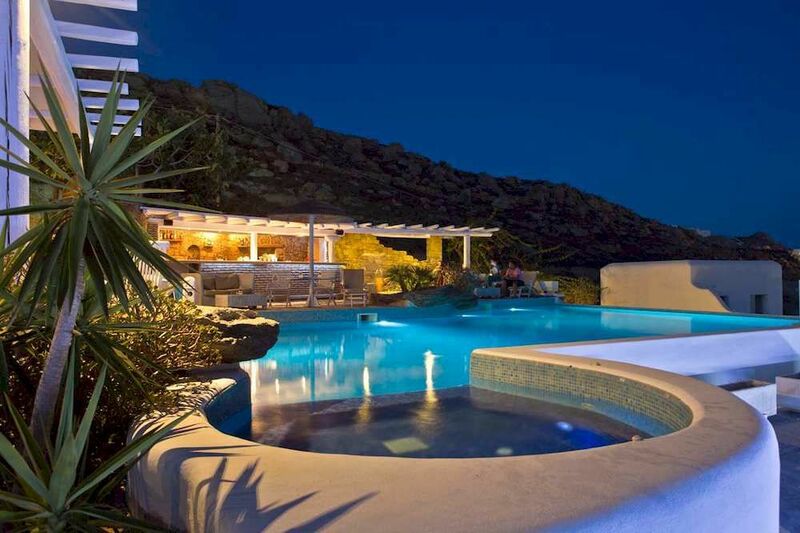 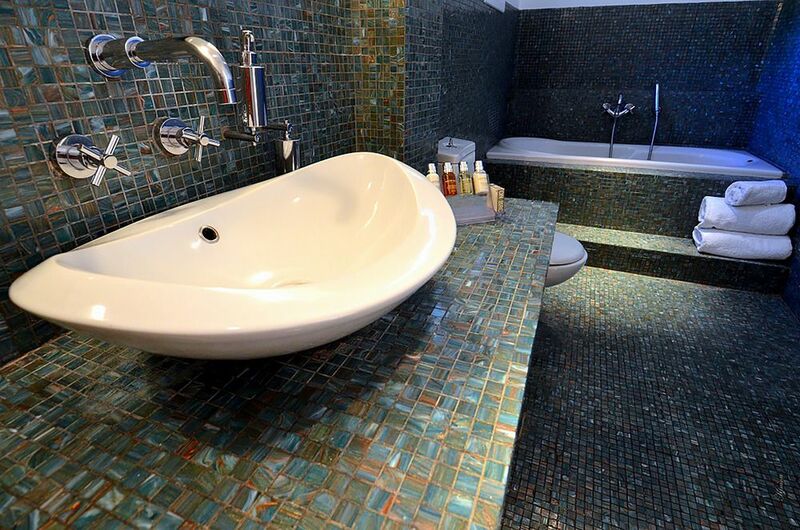 This luxury property features excellent facilities including pool, bar, restaurant, and Spa. 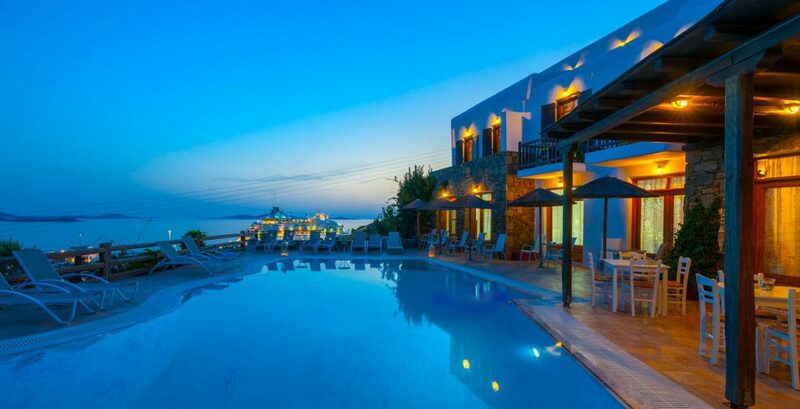 Quiet beach hotel. 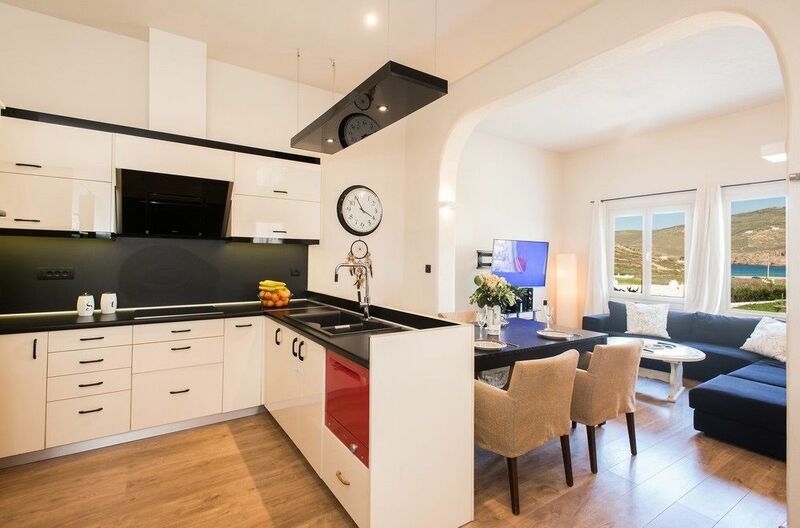 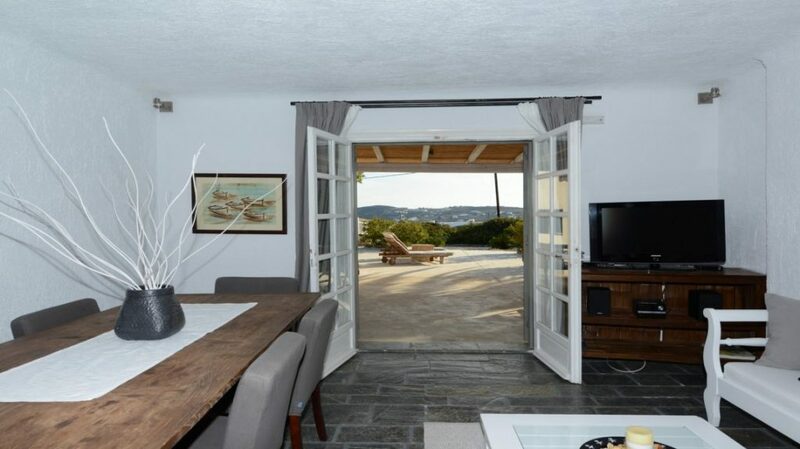 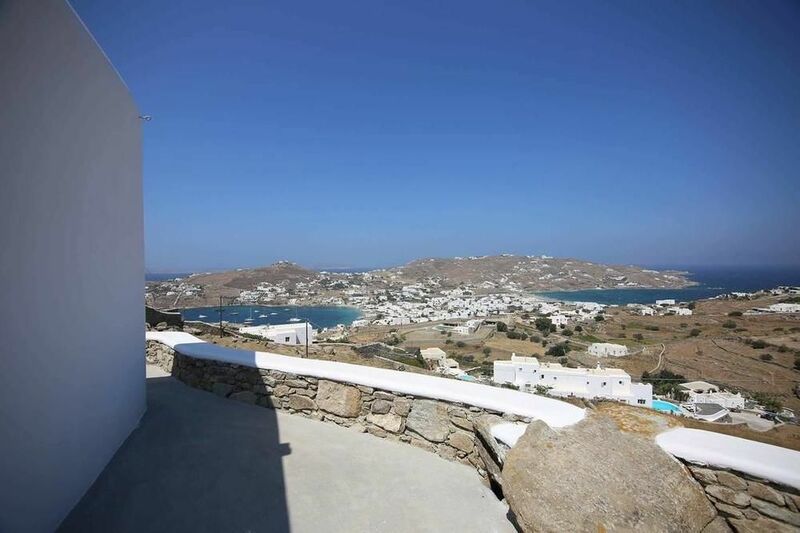 Attractive and well furnished 2 bedroomed villa near to Ornos beach and Mykonos Town, this 2 bedroomed villa is a perfect base in Mykonos. 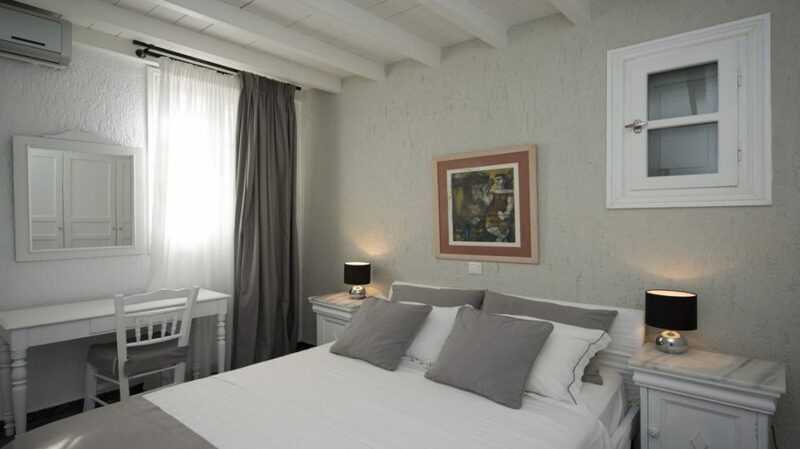 Excellent value, very good rates for 4 guests. 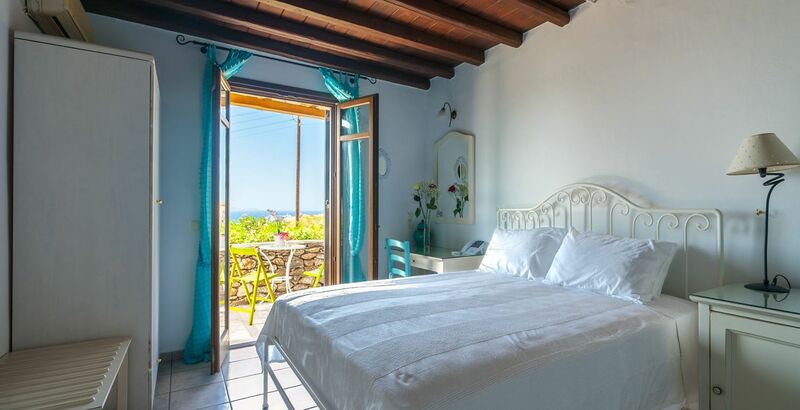 Traditional style hotel with amazing sea views, this well run hotel features excellent facilities including a freshwater pool and modern well-furnished bedrooms. 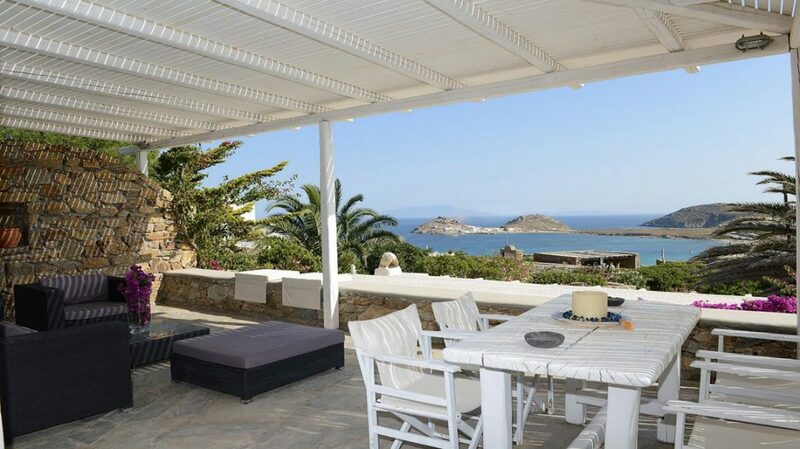 Near Troulos beach, Mykonos Town close by. 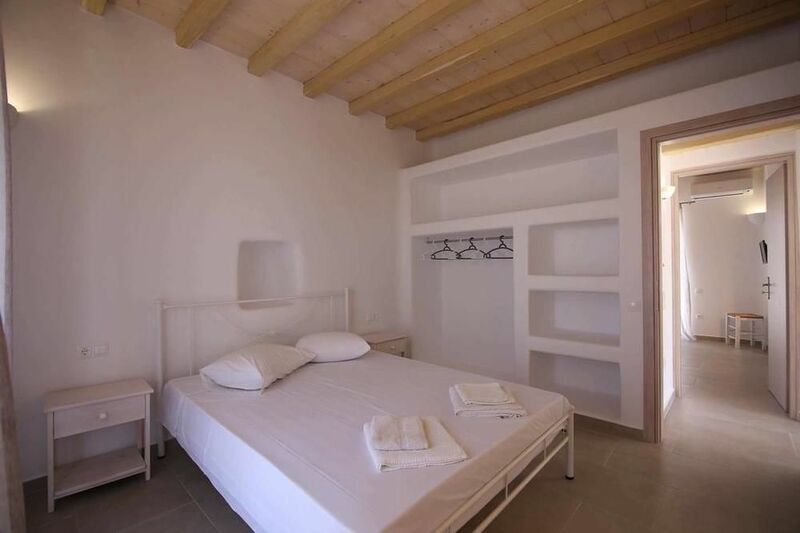 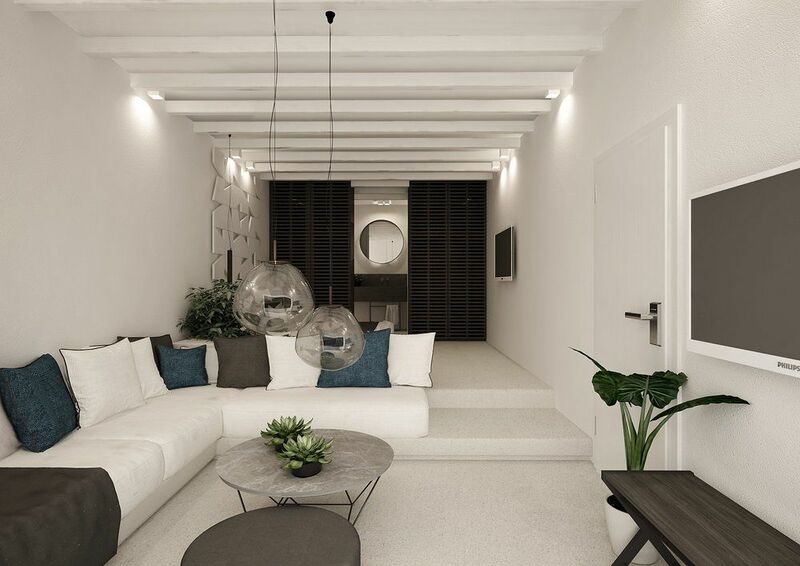 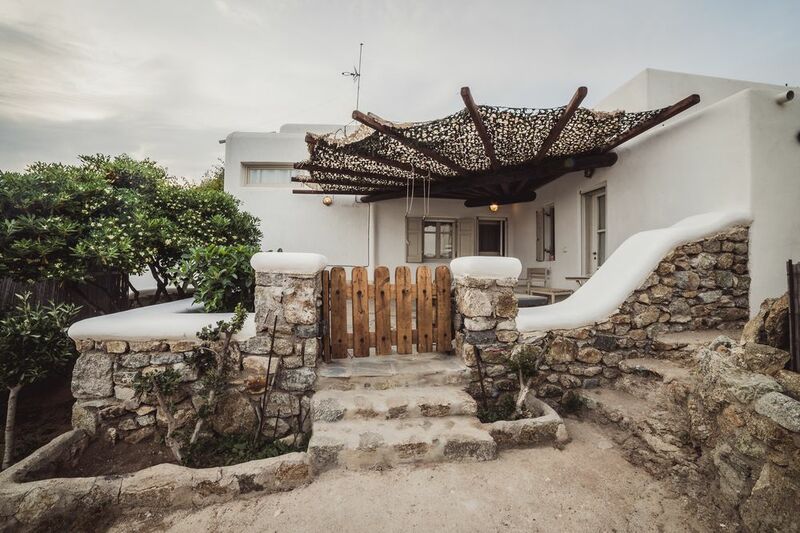 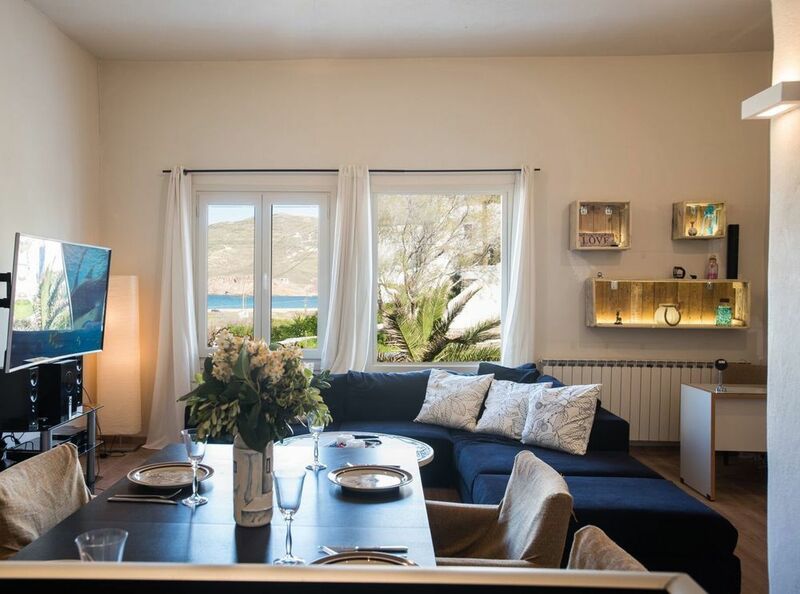 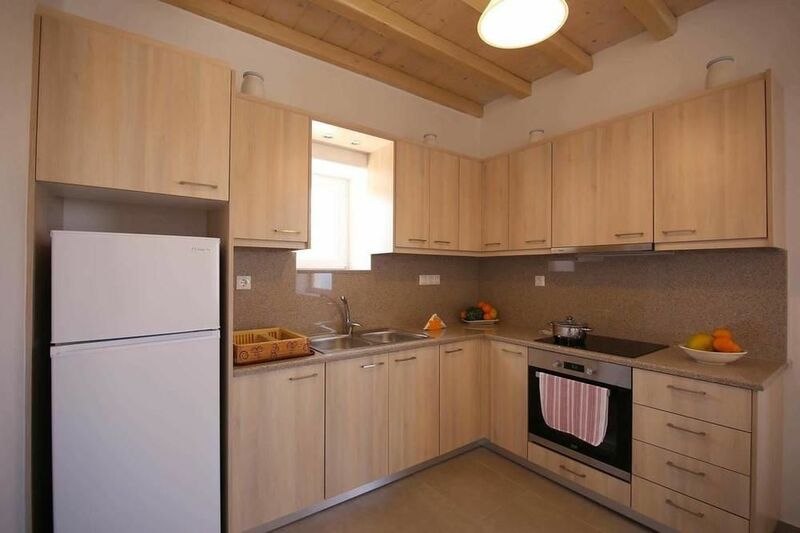 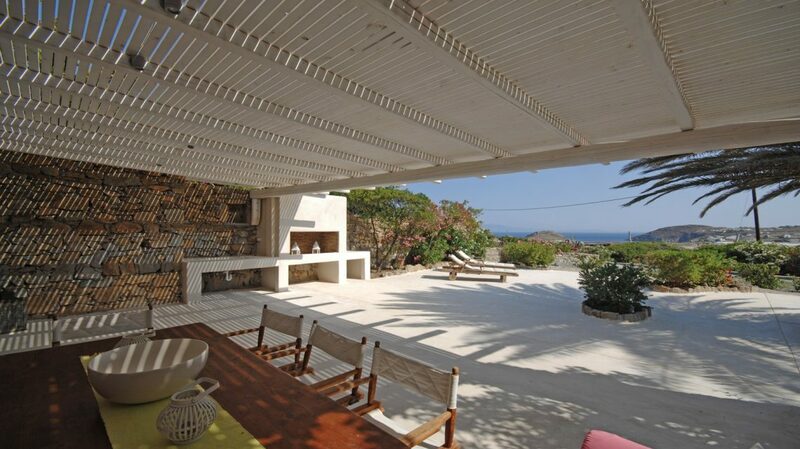 Stylish house located close to the beach of Ftelia, offering 3 bedrooms, comfortable lounge/diner, and a small terrace. 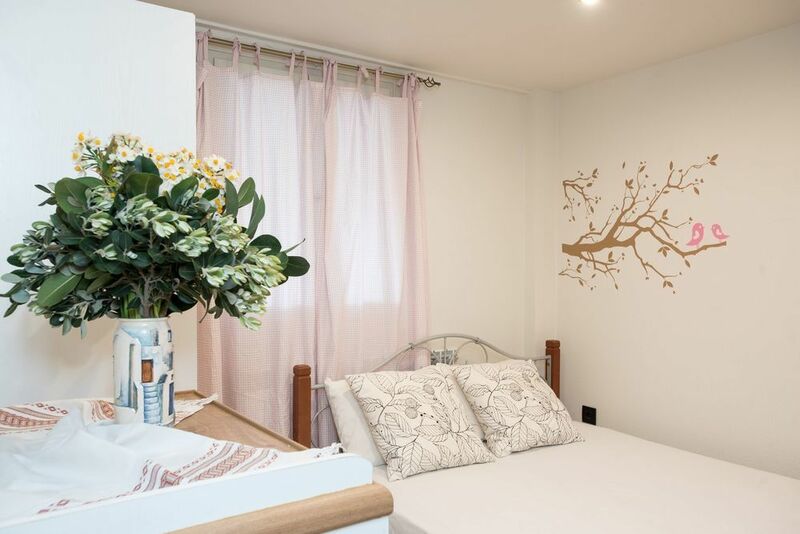 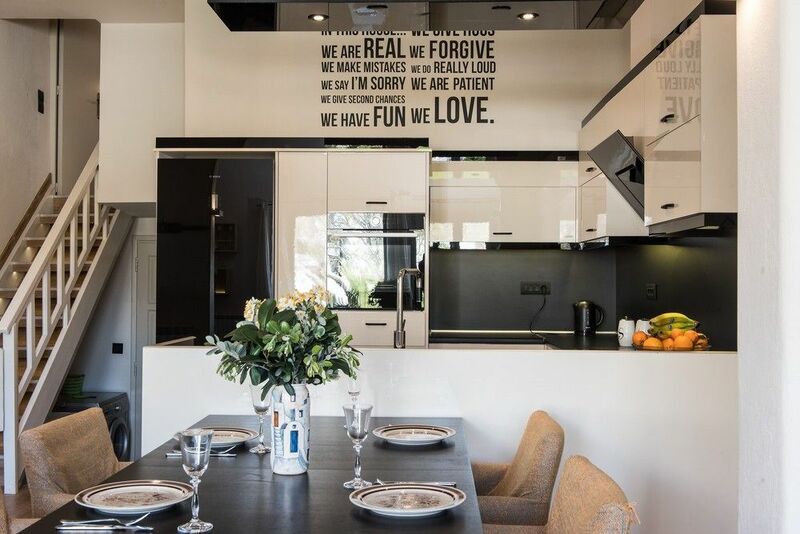 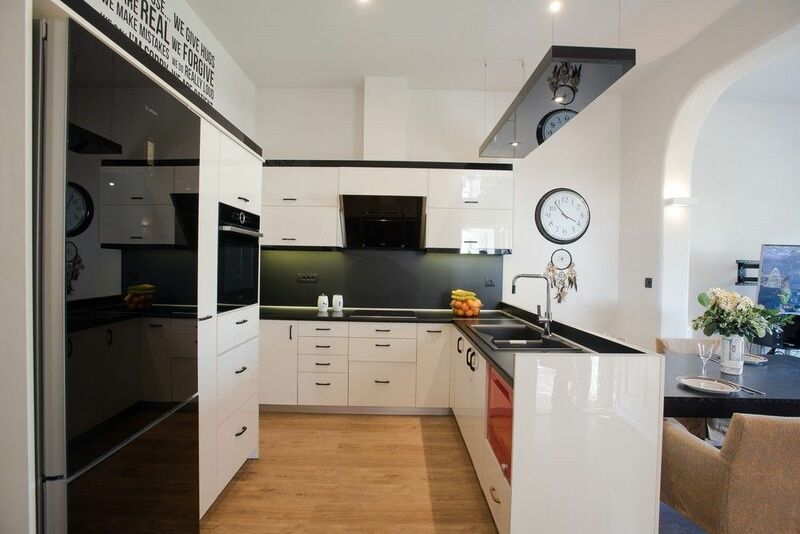 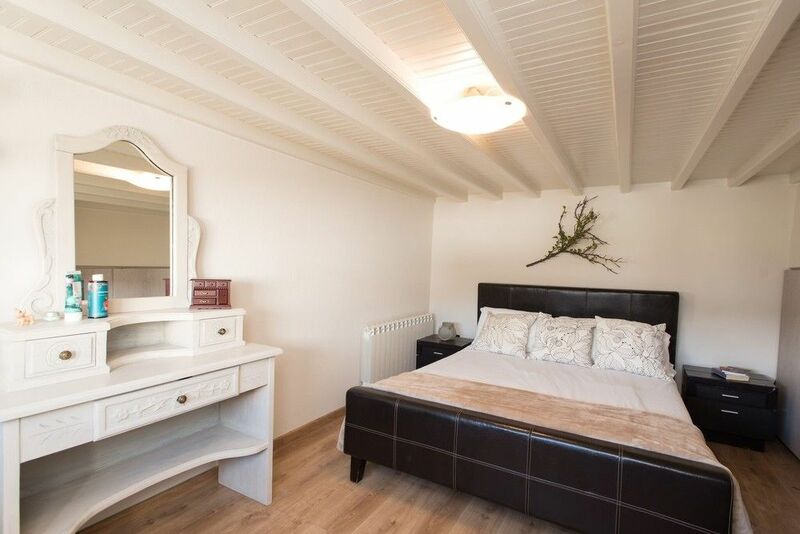 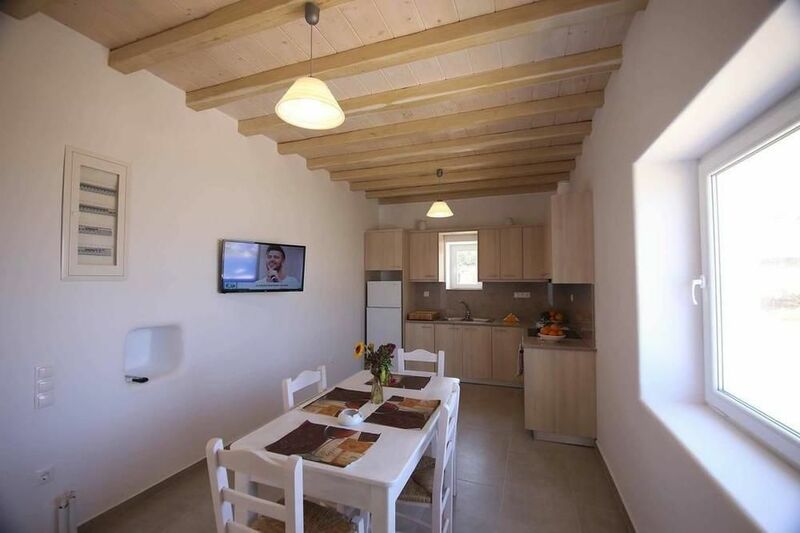 Well furnished in a modern style, sleeps up to 7 guests. 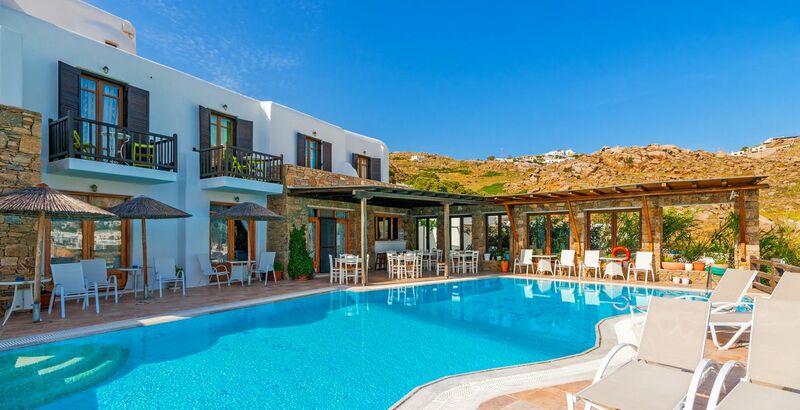 Excellent value for 2 or 3 couples, or a family. 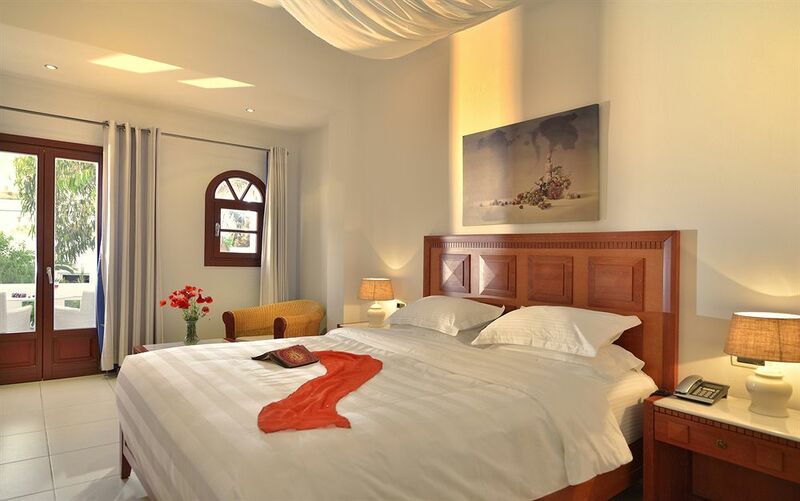 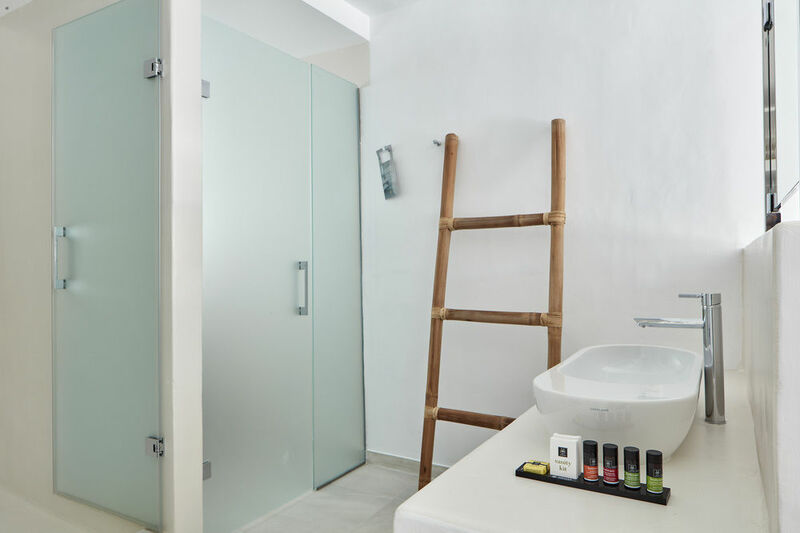 Located just 150mts from the beach and offering very well furnished modern rooms and suites. 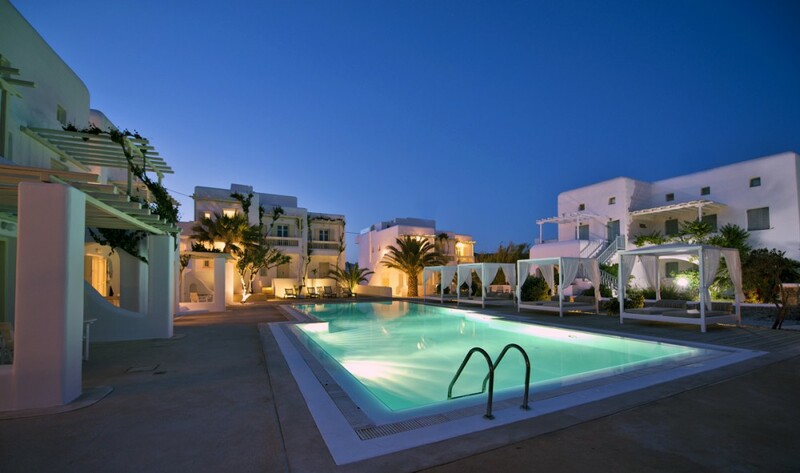 The Corfos hotel is a small cozy complex built around an attractive pool and offers excellent value. 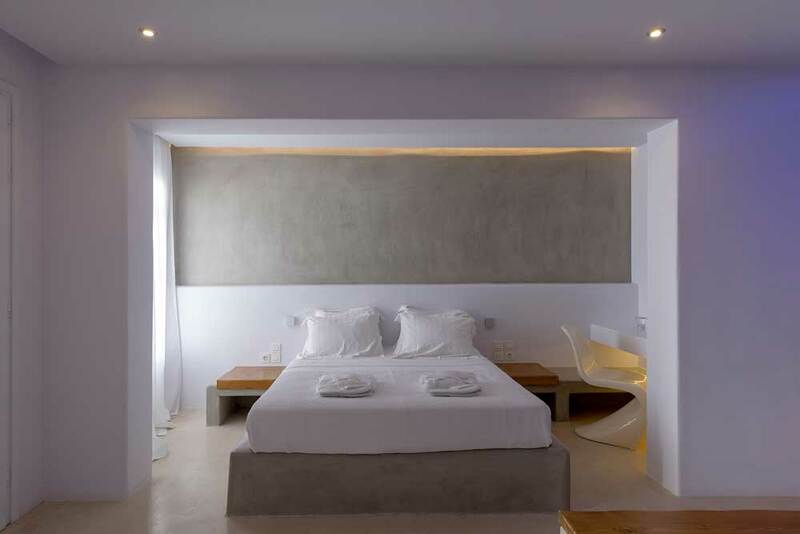 Lovely hotel. 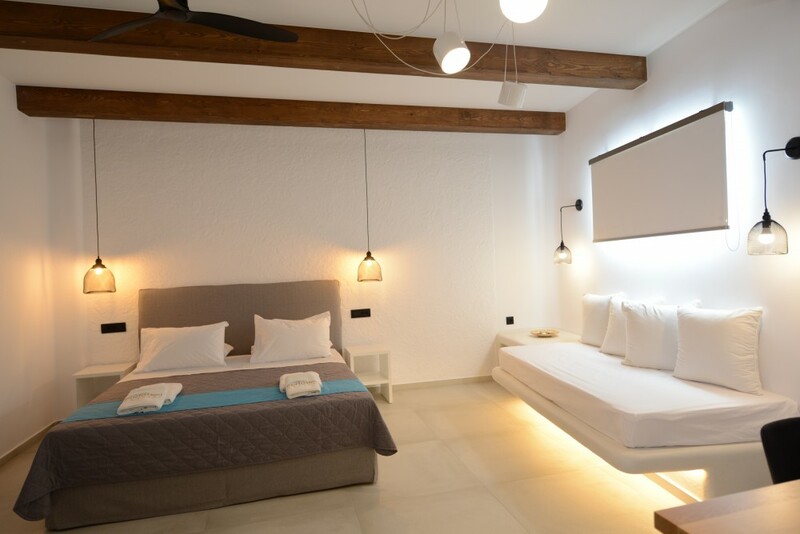 A new stylish suite hotel located in the area of Ornos, offering 24 suites of various sizes for couples, friends or families. 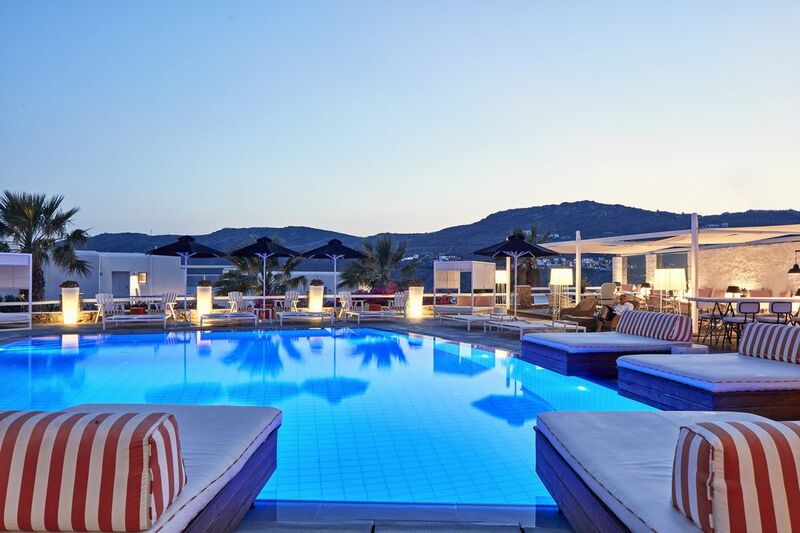 The hotel features a lovely pool terrace and offers a relaxing atmosphere. 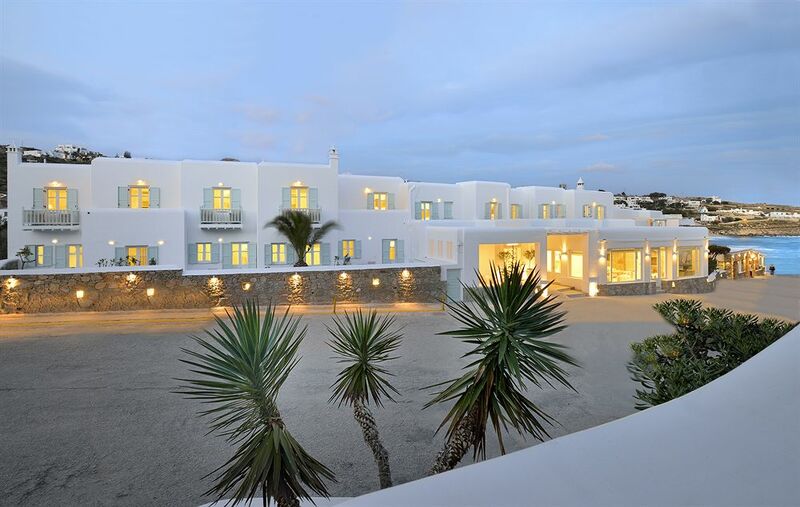 Small complex of 11 apartments and villas located near the beautiful beach of Kalafatis, offering excellent facilities and great value. 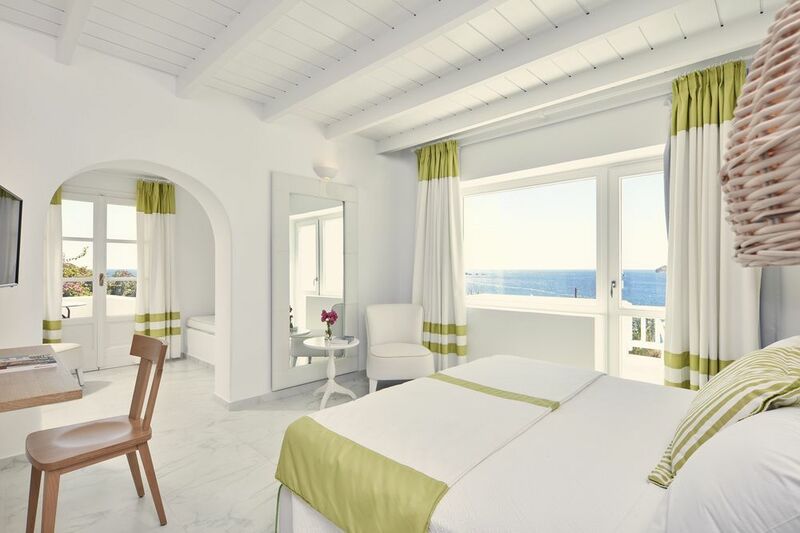 Take a look at the offers available! 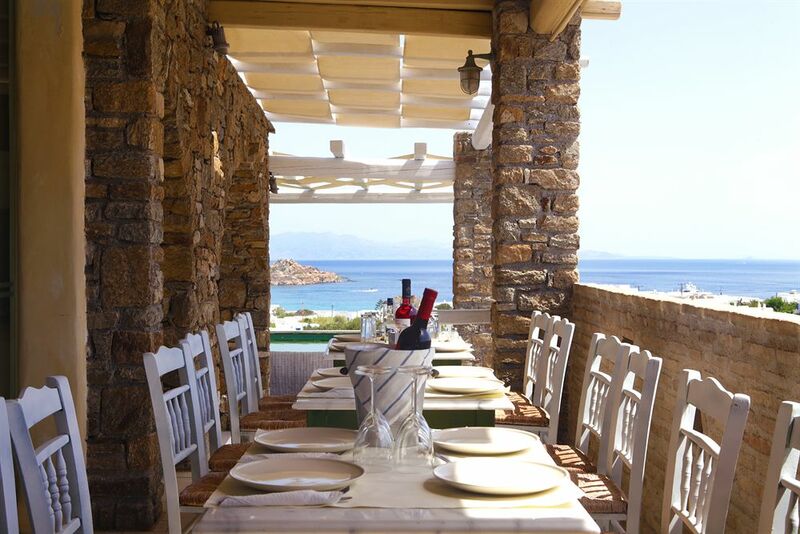 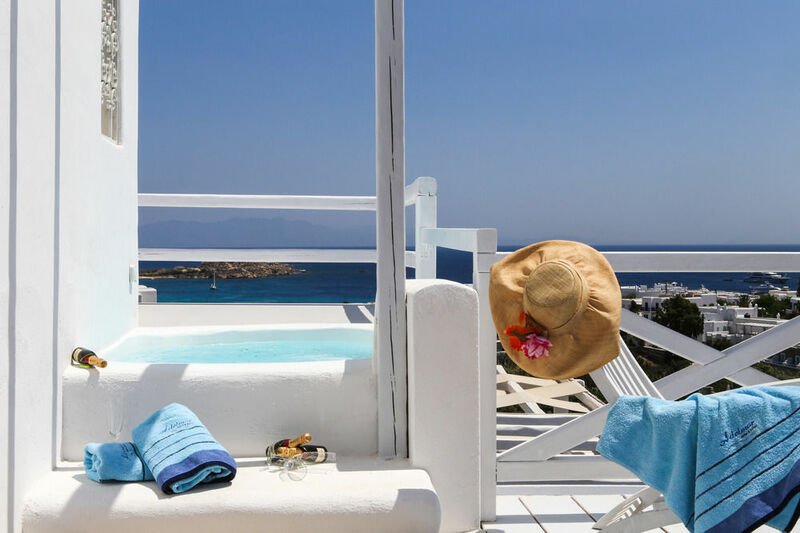 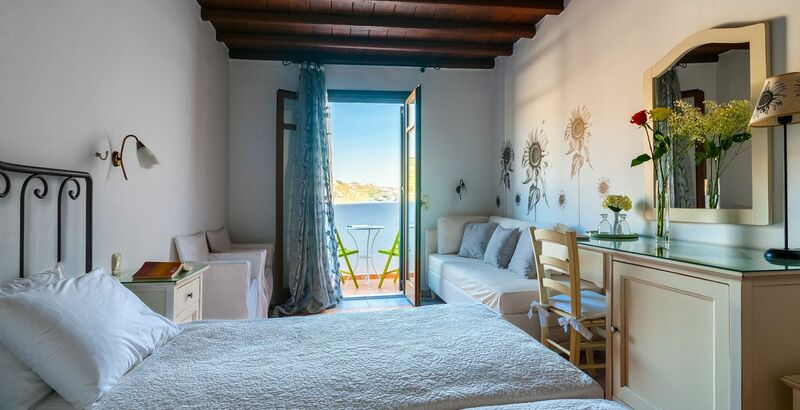 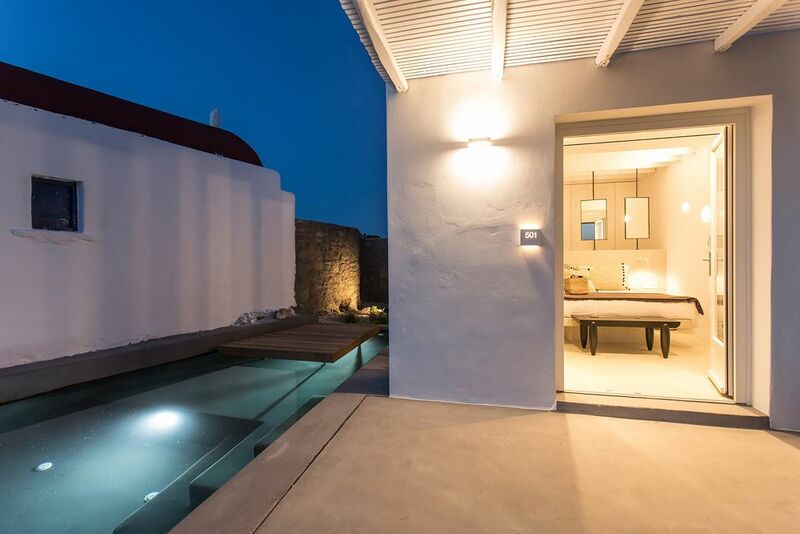 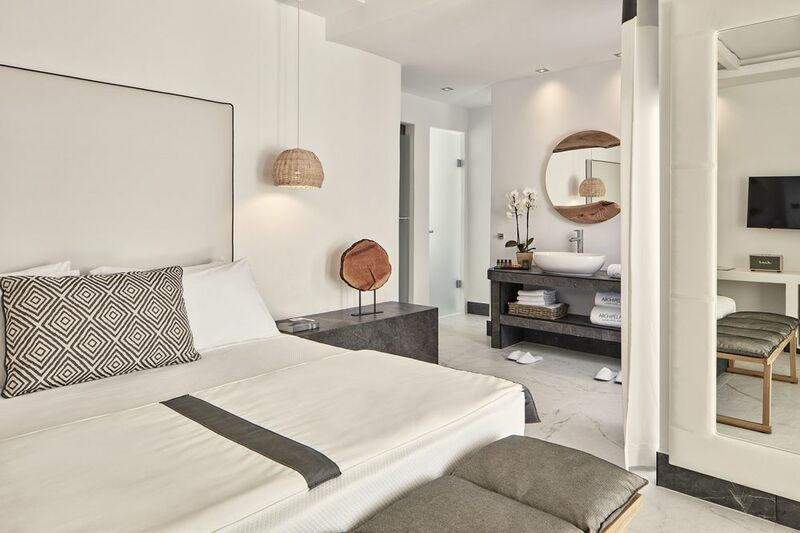 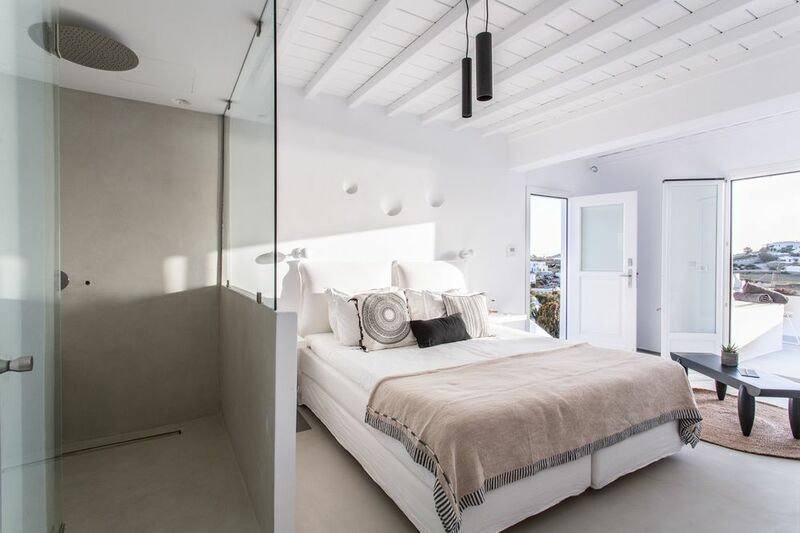 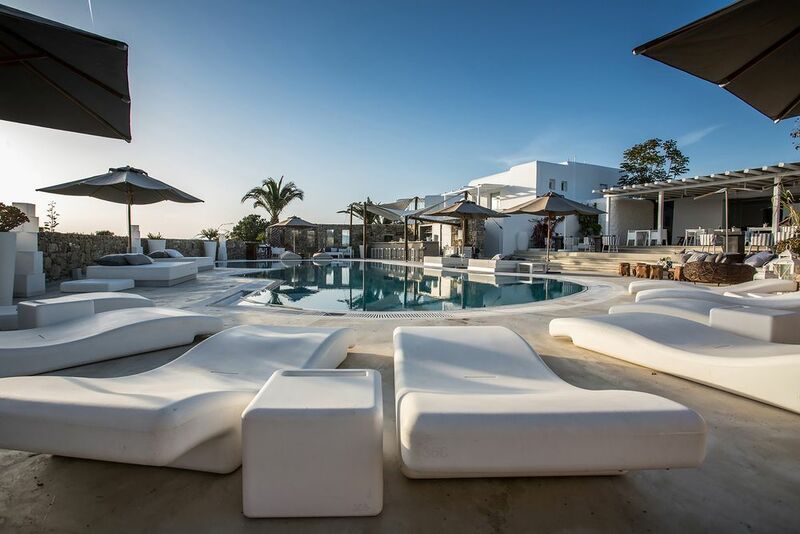 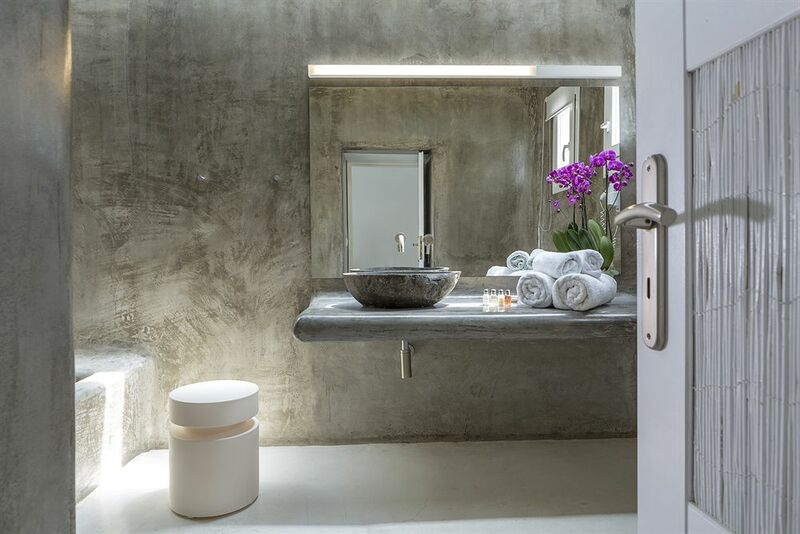 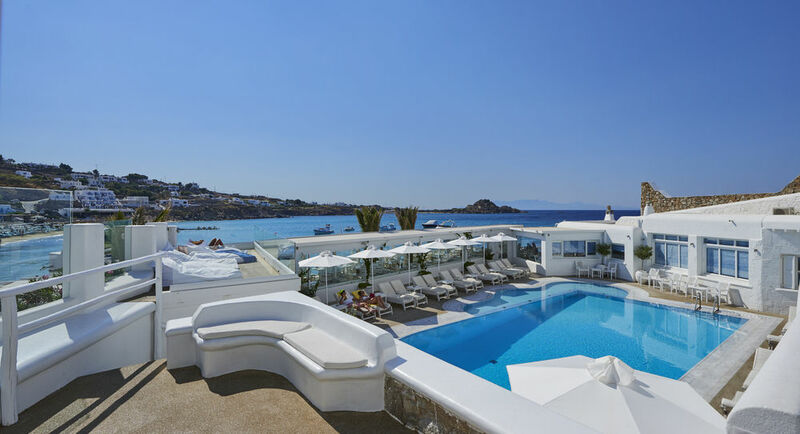 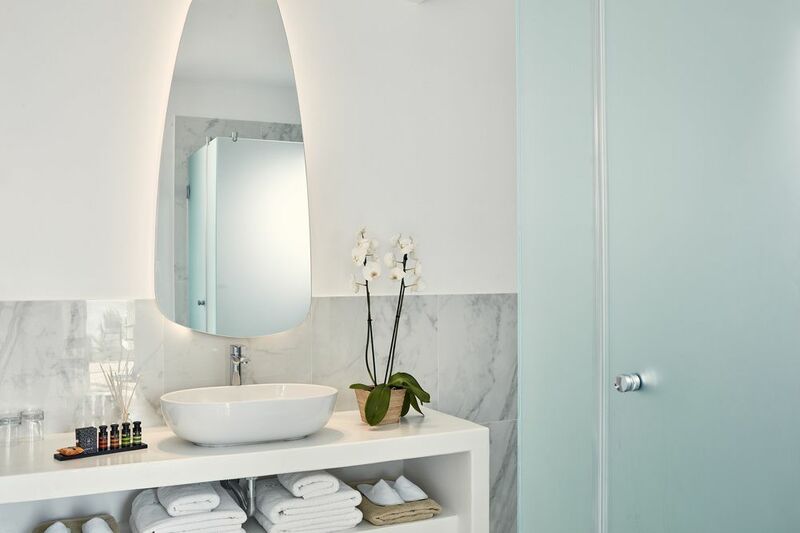 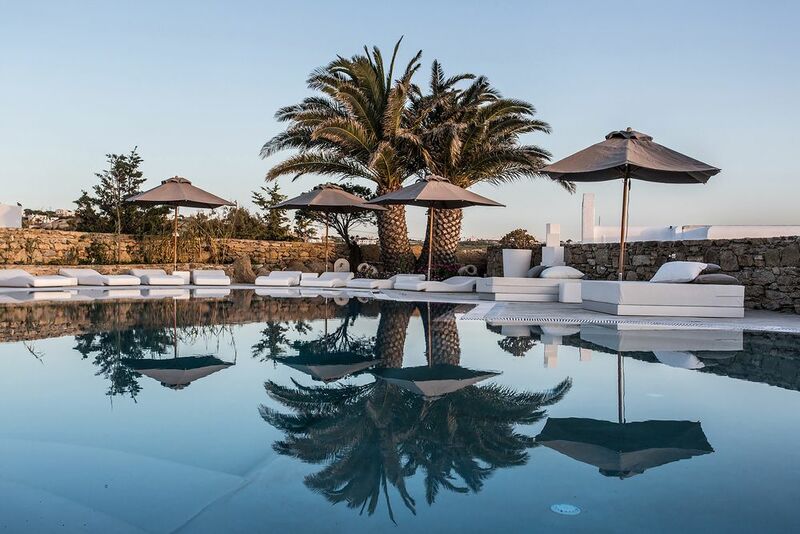 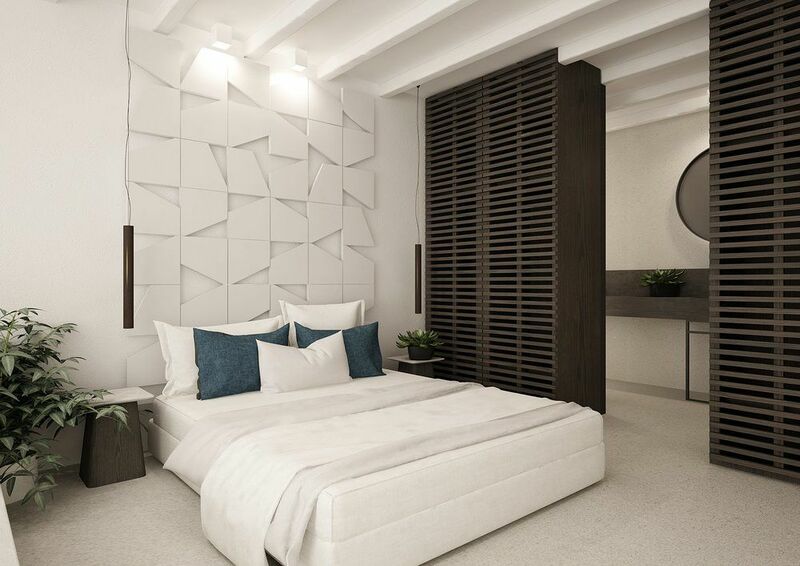 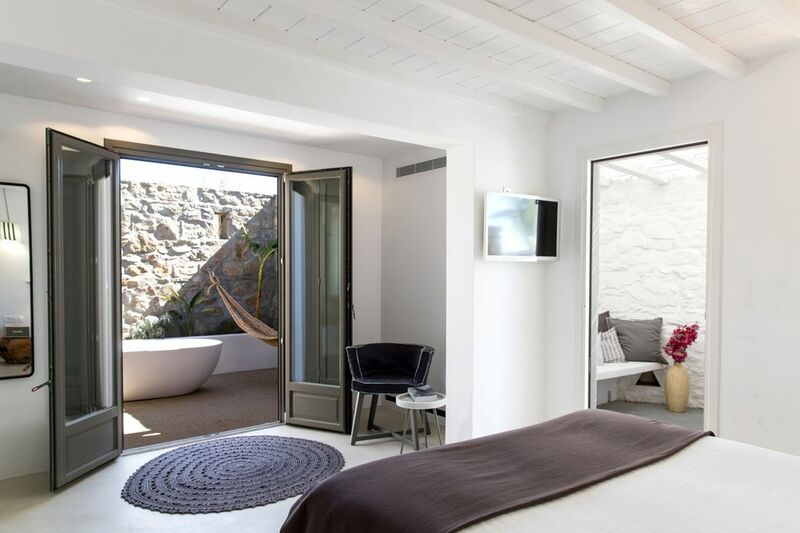 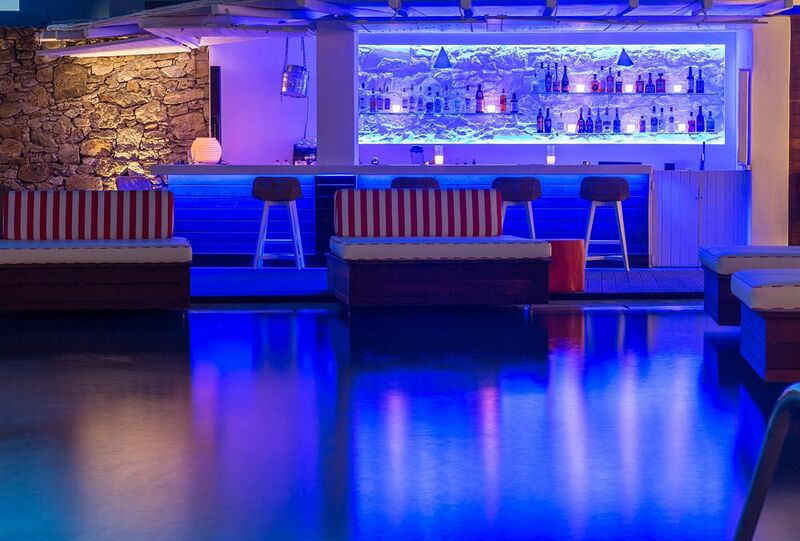 Established luxury boutique hotel offering 21 luxuriously furnished rooms, pool terrace with views over Mykonos town, bar, and organic restaurant. 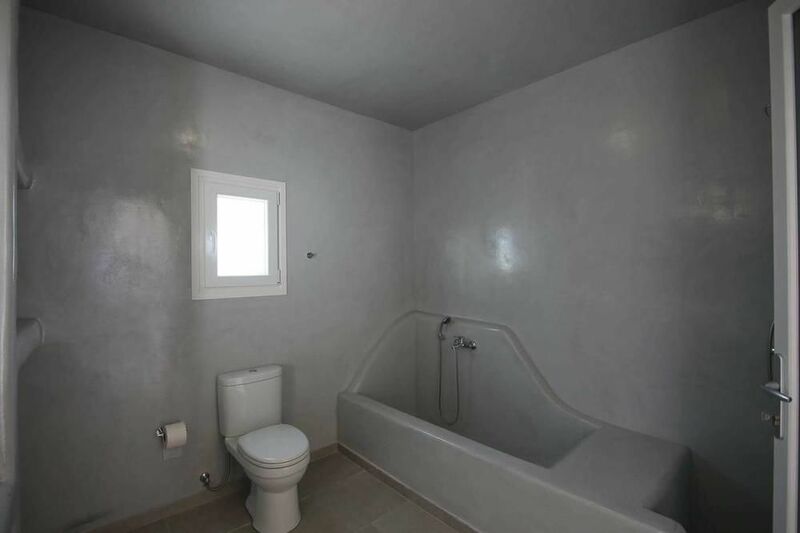 The hotel has a well-earned reputation for comfort and service. 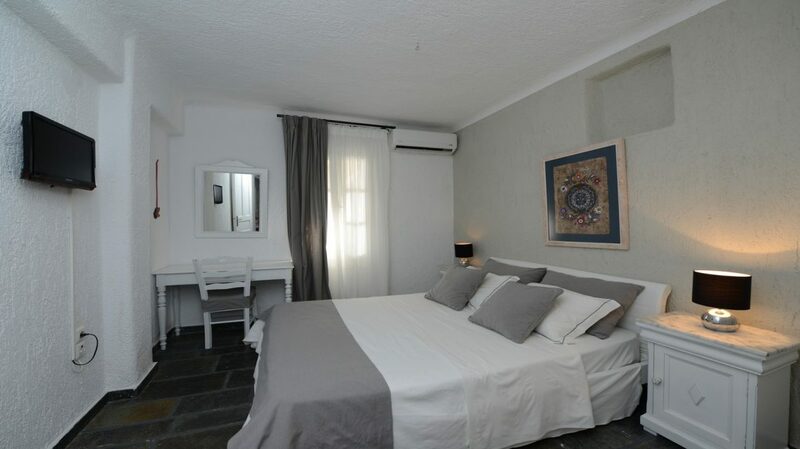 To book flights with accommodation. 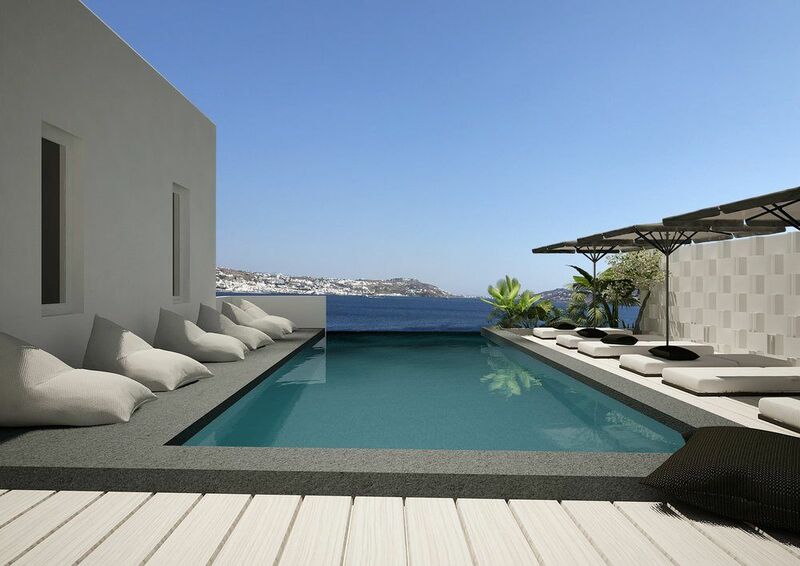 go to packages.